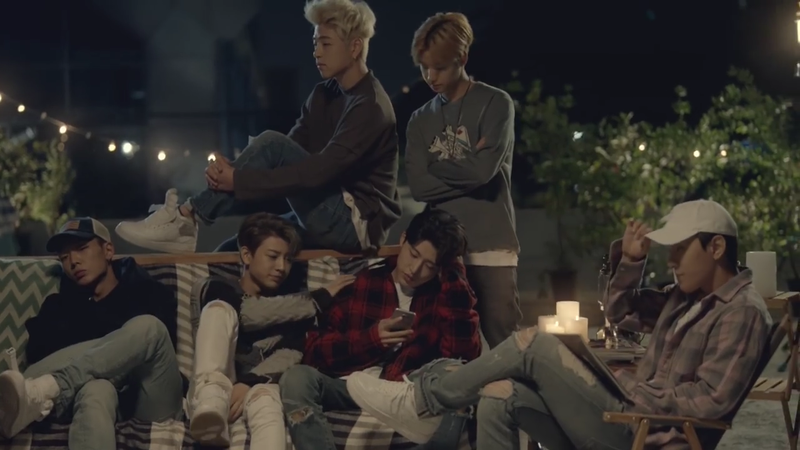 From watching the video, I gather that this video centres B.I (Hanbin) and Bobby. 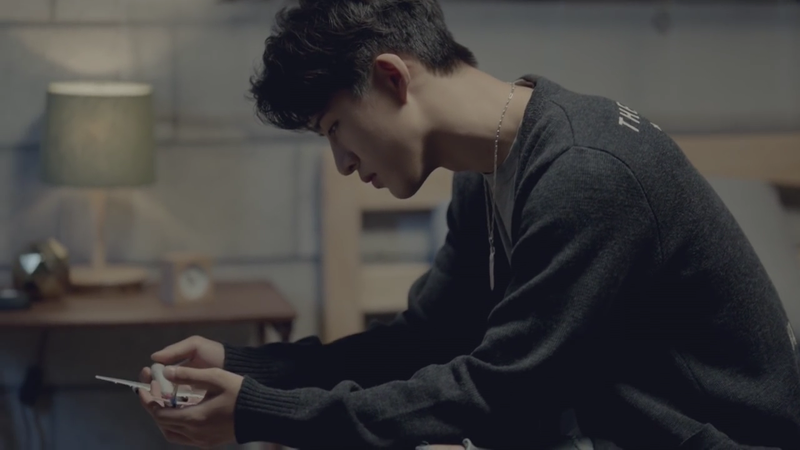 Hanbin is the one that is the ‘main character’, who is in love with the girl. However, there is an element that Bobby has feelings for the same girl. 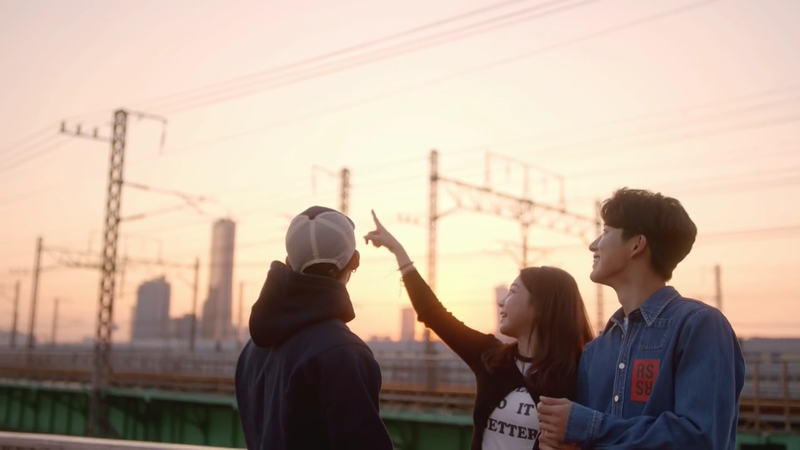 Both are rather jealous of each other and at some point, the girl is going on an ‘airplane’ and Hanbin has to decide whether or not to go after her. We see that he does, but he misses the plane. However, the lyrics fit the singing more than the video (you can see the lyrics here). From the lyrics, we see that the girl is leaving, even though she doesn’t really want to and it is causing her to cry and we see that he (Hanbin I guess) is more upset and wants to keep a hold of her. I think the lyrics were sung well and express this kind of emotion well, but the video fits less well and it would have been nice to see a more mature couple setting. 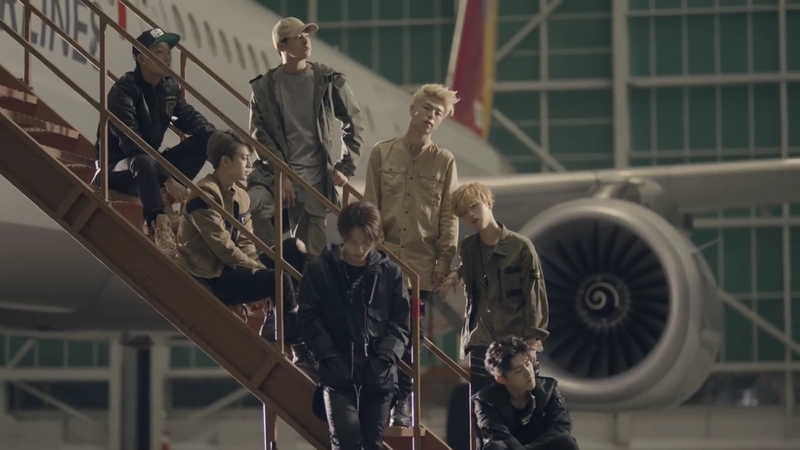 I enjoyed the scene where the whole group was together, outside the airport grounds and on the street at night. 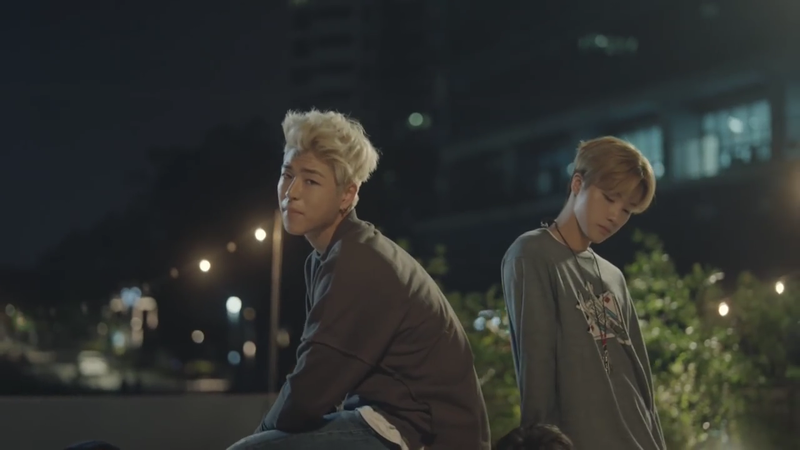 I thought those scenes were, not only very pretty, but they gave a melancholic feel to the song which is nice. Really, what is this beige monstrosity?!? I enjoyed DongHyuk’s “la li la di dada la li da”, it was a nice interlude between Bobby’s rap. I also really enjoyed JinHwan’s (I think he may be my favourite vocalist in this group), JunHoe’s and YoonHyung’s parts, their voices are very good and melodic which is nice to have because iKON tend to have quite a bit of rap in their songs. 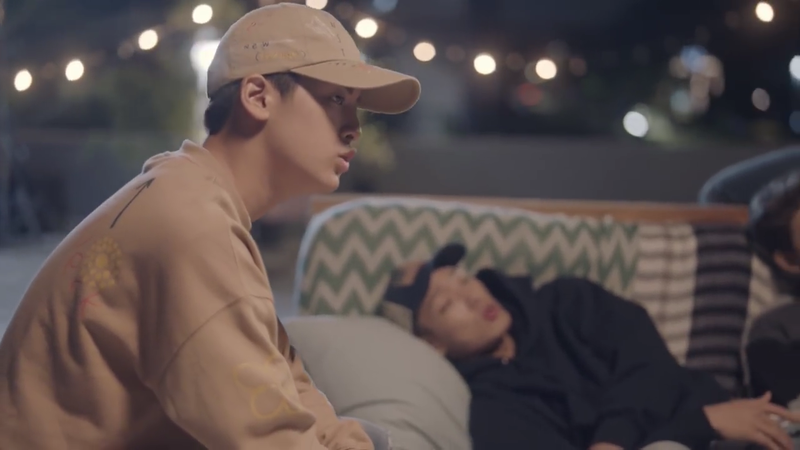 Oh and talking of rap and melodic voices, when Bobby rapped and Chanwoo sang at the same time… ♥.♥ This is a combination I absolutely adore. It’s one of the reasons I loved Beautiful Liar (VIXXLR). And of course, Hanbin and Bobby were great. They are good rappers and work well with their teams vocals, it’s pretty much a fact at this point. Nice review. I really love Airplane so much! I played it over and over a million times.